There will be a special ceremony between the girls' and boys' basketball games when the Wildcats travel to face the Pierce Bluejays on Saturday, December 8. All Veterans and Active Duty Military Personnel will be admitted free. 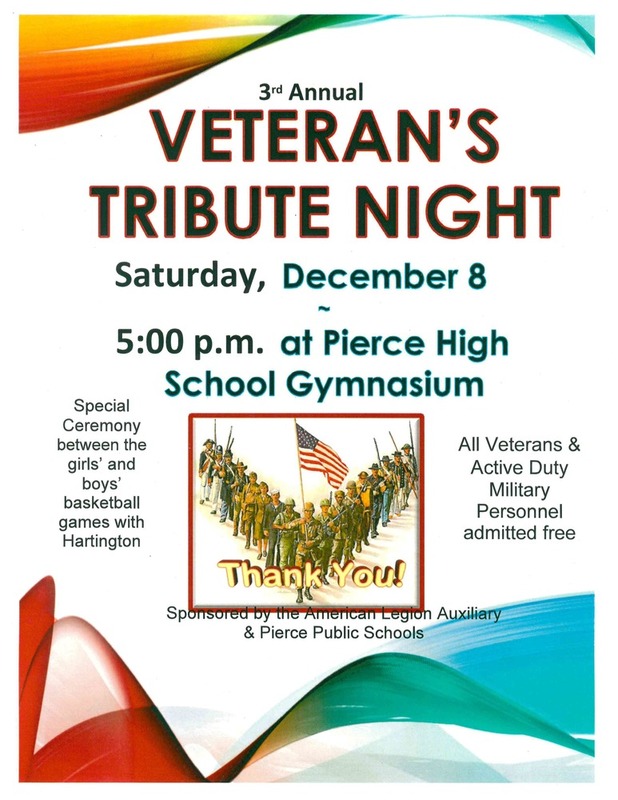 Come out and show your support for the men and women of the United States Armed Forces.